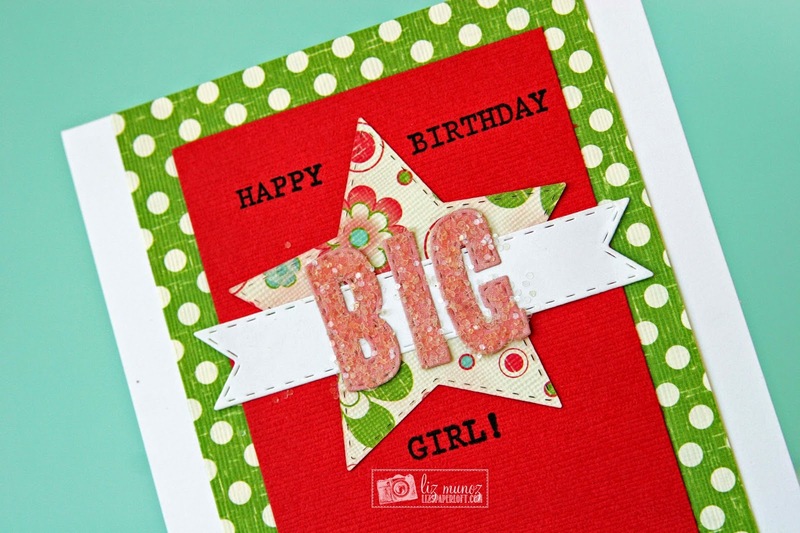 Liz's Paper Loft: MCT Thrifty Thursday ~ Big Girl! 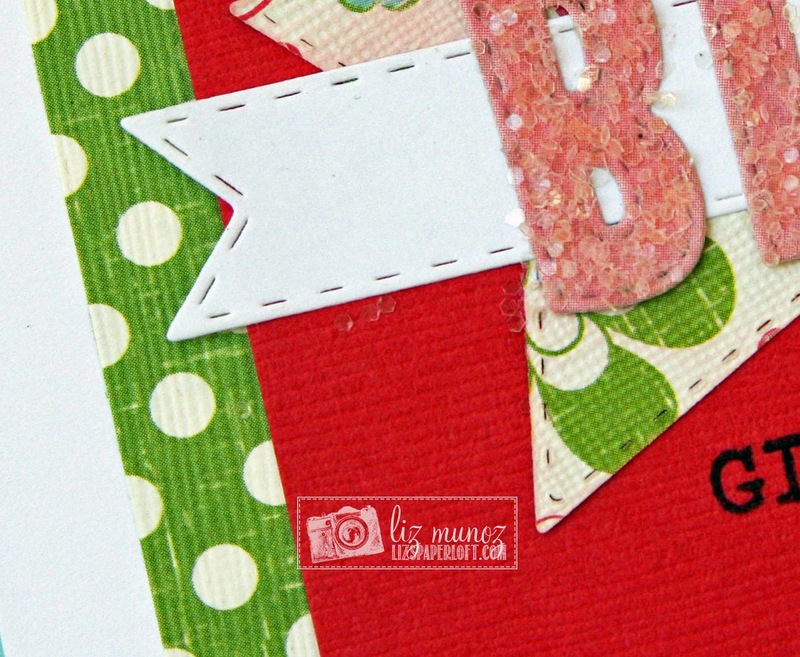 Hey it's Thrifty Thursday at My Creative Time! For me this is a great way to use those die cuts that I thought were not usable when I first cut them. This is exactly why I never throw anything away! Ok, lets face it...I'm a HOARDER! lol! I pulled out a few different things from my die cut jar, looked at them and choose a couple of items. WOWIE WOW Miss Liz what a Fun & Fab card. Love the way you used Miss Emma's goodies and girl you have to have the best scraps jar ever....I love the way you keep your scrappy scraps thanks for sharing....plus the container is cute too. YOU ROCK!! This is such a great card Liz! 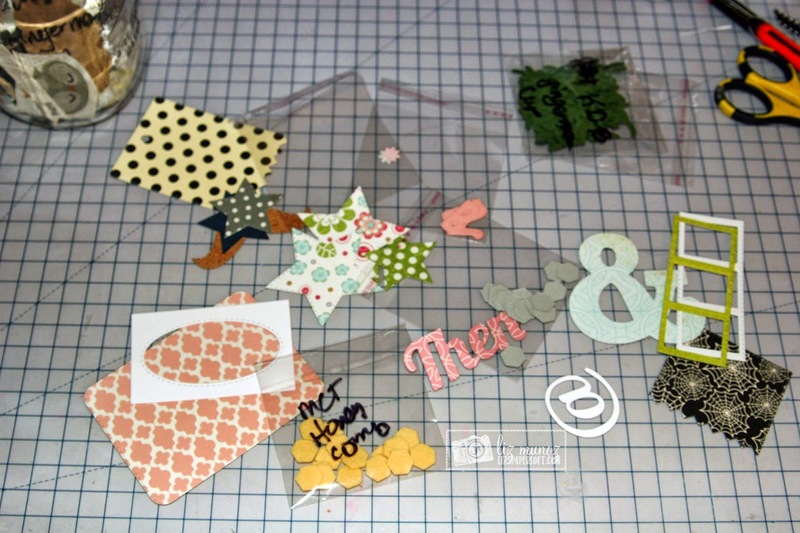 Awesome job using up your scraps! Great idea to just empty out your die cut jar. This turned out so cute! Love the glitter! 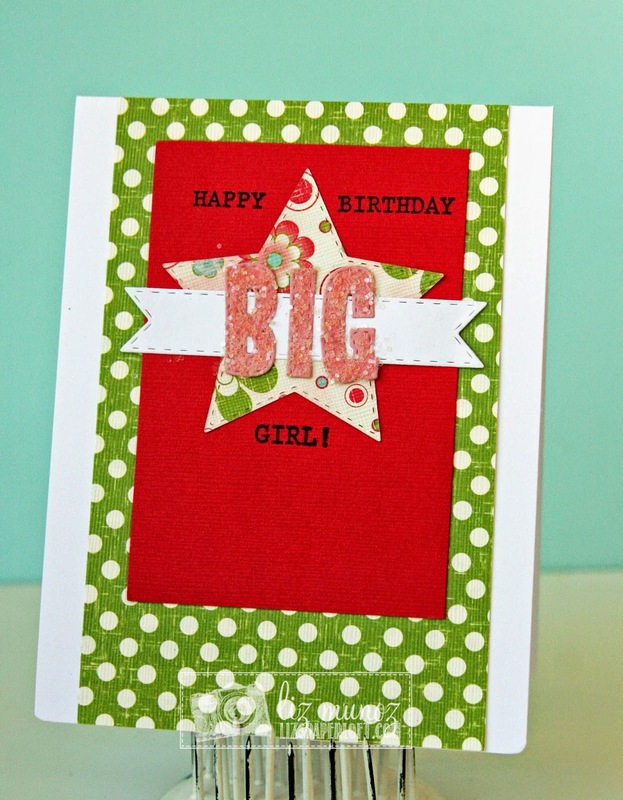 So pretty, love the glittered "big". Beautiful card! I like the Vintage Label behind the BIG! Wonderful job!